Let us unlock your dreams! Imagine taking your friends and family on the luxury holiday experience of a lifetime, exploring the unspoilt, most stunning corners of small Mediterranean country. Experience natural diversities, beaches beyond your wildest dreams, meet the history on every step, relive the fragrance of sage, lavender and rosemary; feel the spirit of a forest after raining; explore the diversity of Croatian cuisine and discover its wonderful specialties; take wine tour and explore our beautiful vineyards and enjoy a unique experience. When vacationing abroad, you want an unforgettable experience that’s uniquely yours. You want to feel the pulse of the local scene, see what the locals see, eat what the locals eat, do what the locals do. And at the end of the day, you want to relax in a comfortable home away from home. Our villas provide luxury, authenticity and local flavour, combined with the comfort and conveniences of the best hotel. 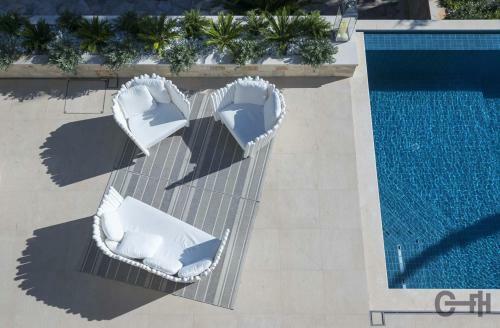 Indalge yourself with seductive hand-picked villas located on the coast of crystal clear Adriatic Sea! 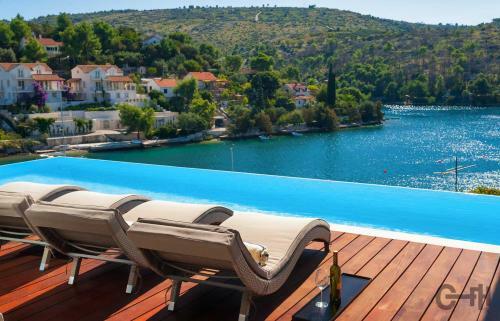 Villa Infinity ideal summer hideout, situated just steps from the crystal clear blue Adriatic Sea, on the most beautiful island in Croatia – island Brac. 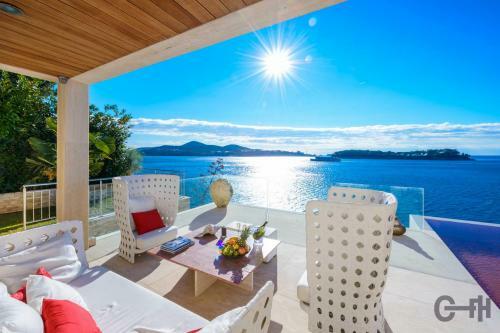 This strikingly contemporary villa offers unbeatable style, functionality and boasts stunning sea views. Connecting traditional and contemporary architect design - on Island of Brac was created Villa Acoona. Villa Acoona is a place of quiet contemplation – the historic stone structure is built over 3 levels of high end luxury. Find yourself a comfortable place and enjoy it with family, or find a quiet zone to call your own! When contemporary design meets ultimate comfort and fabulous art at a stunning location on the brink of the Adriatic Sea, that’s Villa Dubrovnik Cardinale. Only ten minutes from the venerated but bustling Dubrovnik Old Town, the villa’s elite neighborhood of Lozica translates to tranquility, privacy and pleasure. With Dubrovnik pulsating at an arm’s reach, you’ll sip champagne enveloped in serene vistas breaking from the edge of the infinity pool. THE JOURNEY OF A THOUSAND MILES BEGINS WITH A SINGLE STEP – UNLOCK YOUR DREAMS AND EXPLORE YOUR NEW REALITY – WE MAKE IT POSSIBLE FOR YOU! ©Copyright CroatiaFinestHolidays.com - Pira Travel Agency - All rights reserved!